If you’re looking for that finishing touch for your pillow or upholstery project, piping is the way to go. Whether you’re looking to make your own piping or buy it pre-made, you may have come across the terms “piping”, “lip cord” and “cording”. Essentially, cording is wrapped in fabric and becomes piping. Lip cord is a similar pre-made finish that isn’t wrapped. There are a few kinds piping and cording you may come across. If you want to make piping, the first step is to buy cording. “Cording” can refer to a few different cord products like blind cord, welting, edging, and actual piping cord. Blind cord is cord that can’t see (just kidding). 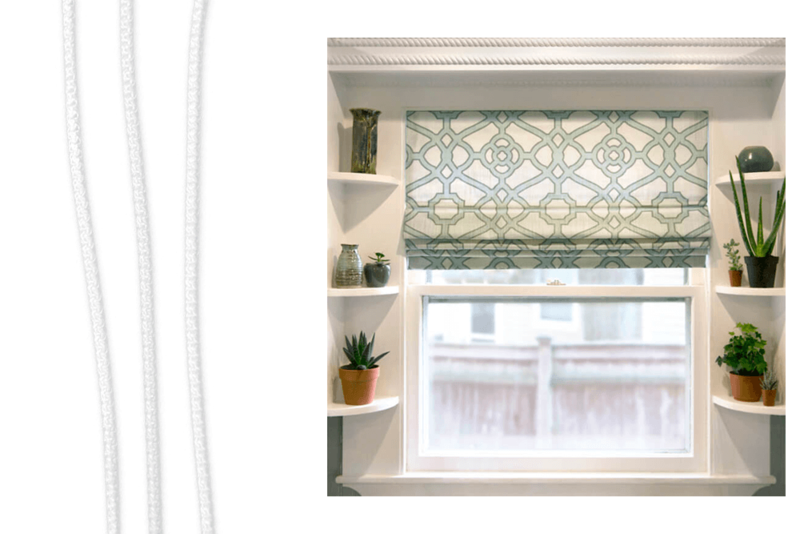 Blind cord is used for drawstrings on blinds and roman shades. The cord is threaded through o-rings and/or cord locks so when you pull it, the shade goes up. It’s usually 1.5 millimeters wide and made of 100% nylon. This cord isn’t typically used for piping. Piping cord and welting cord are specifically designed to use in piping. Welting is usually used to describe an upholstery piece specifically. It’s decorative, but also protects from wear since the seam is protected. 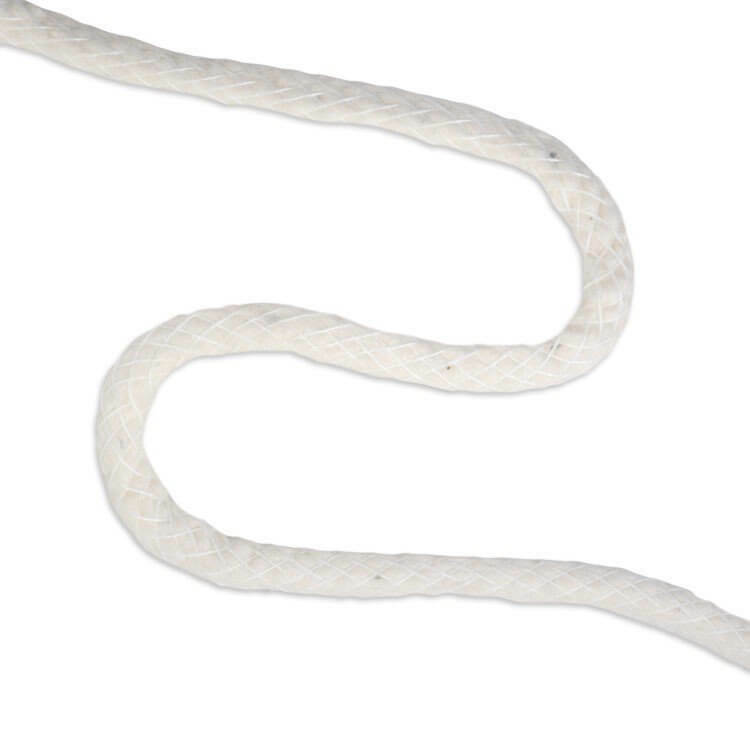 If two welting cords are used, it’s called “double-welting”. There are many widths available commonly ranging from 1/8th inch to a full inch. Thicker cord is sometimes used outside piping applications, like handles for tote bags or string for a drawstring bag. The core can be made of different materials like cotton, cellulose paper fiber, and foam. 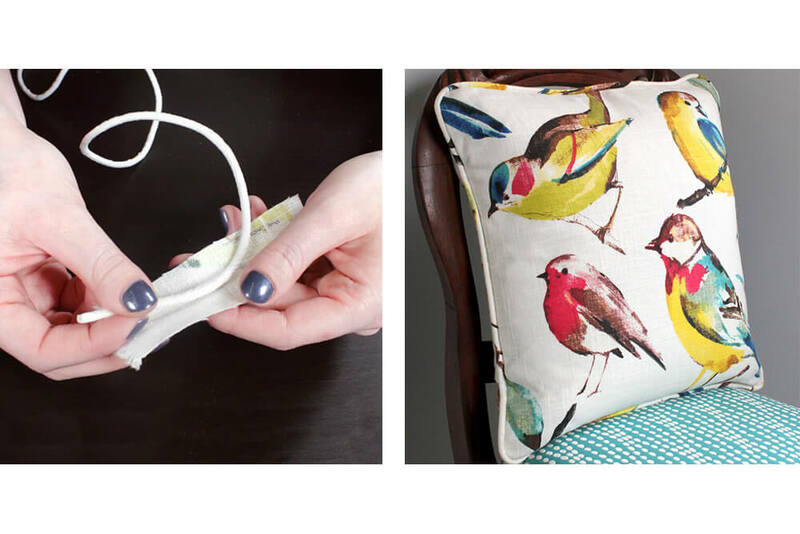 If you’re looking for soft, pliable piping, cotton core cord is the way to go. Cellulose is a little harder and less pliable, foam is the stiffest. In one of our projects, we added piping to an envelope pillow using fiberflex tissue welting cord, which has a cellulose core. Lip cord is another kind of trim that looks similar to piping. Lip cord varies in content, thickness, and style. It can be made of leather, faux suede, cotton, jute, and more and is available in many different styles. Now you’re ready to add the finishing touch to your project. There are other trims and finishes you can use for your project besides piping/welting, and lip cord. 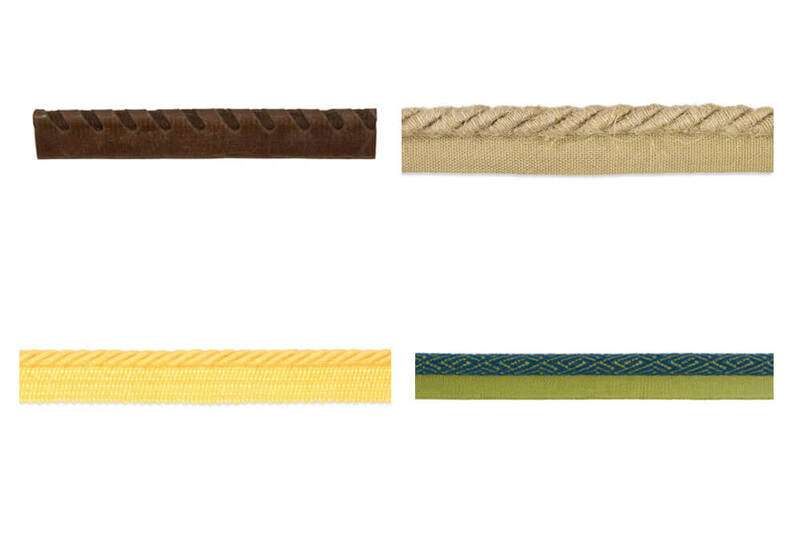 Take a look at some of our band trim, or fringe trim. Check out out selection of piping & cording.